In 2016, Zenith and Land Rover announced an exceptional partnership which brought together these two legends that share common values and DNAs. 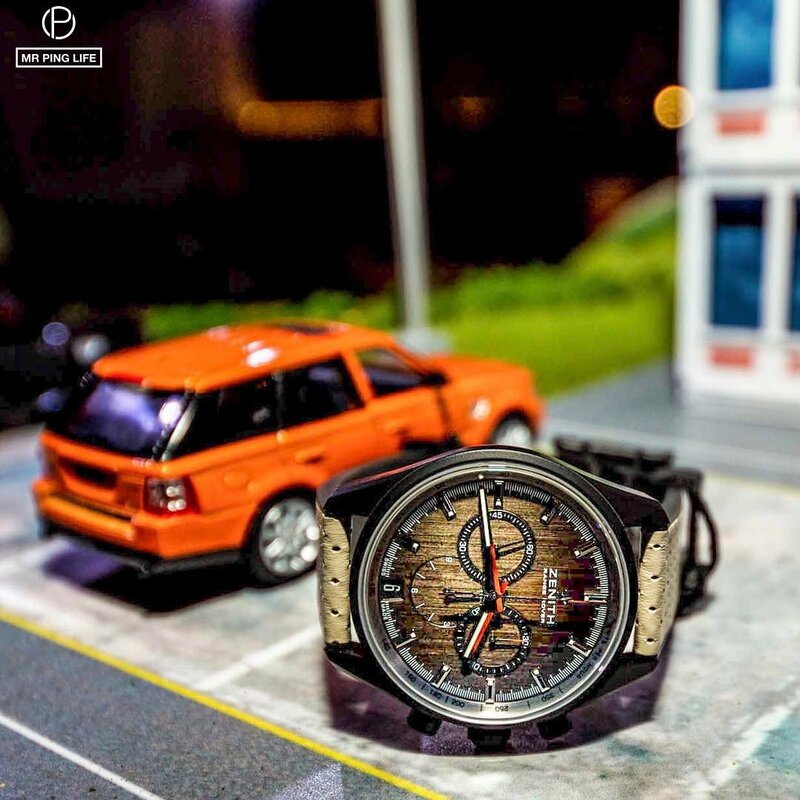 The first fruit of their alliance was the El Primero Range Rover Special Edition, a watch that embodied what both brands stand for. This year, the two legends celebrated their iconic year, 1969, as well as their creative relationship by launching at the Geneva Motor Show in January, the Chronomaster El Primero Range Rover Velar Special Edition. As part of a series of international launches, the watch made its way in April to the Middle East where it was unveiled during a memorable event in Dubai. 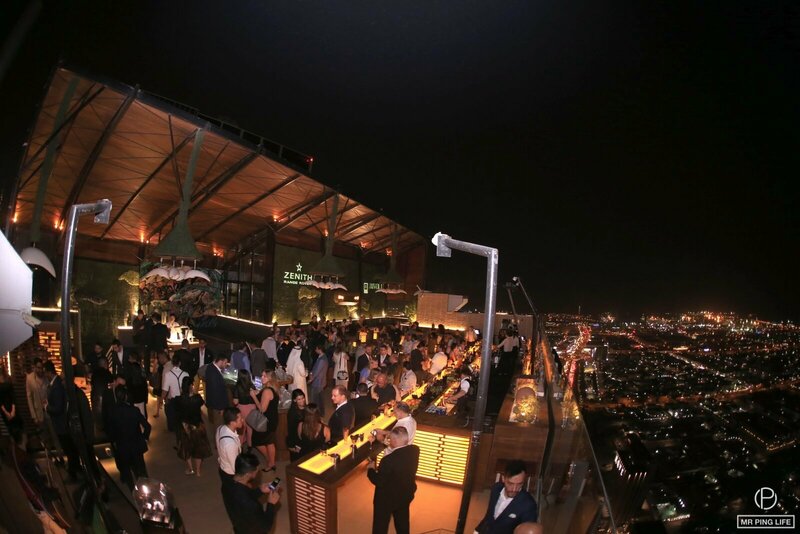 Middle East press members, watch collectors and friends discovered the Chronomaster El Primero Range Rover Velar Special Edition at a special event at H Hotel’s trendy rooftop 40 Kong, in the presence of Nicolas Meda, International Commercial Director at Zenith. “Zenith promotes art, tradition, culture and above all, ‘museum quality’ pieces, which is what we are showcasing here today. Our Chronomaster El Primero Range Rover Velar Special Edition unites all those characteristics, and we are happy to present it with our partners with whom we share qualities and passions,” said Meda. The event was an immersive experience: after walking by the impressive Range Rover SV Autobiography Dynamic parked on the ground floor in an “off-road” style, guests “travelled” in an elevator up winding roads and mountains, arriving at the Zenith Land Rover world where the new timepiece was presented, along with the exciting unveiling of an art installation by Beirut-based graffiti artist Eps. 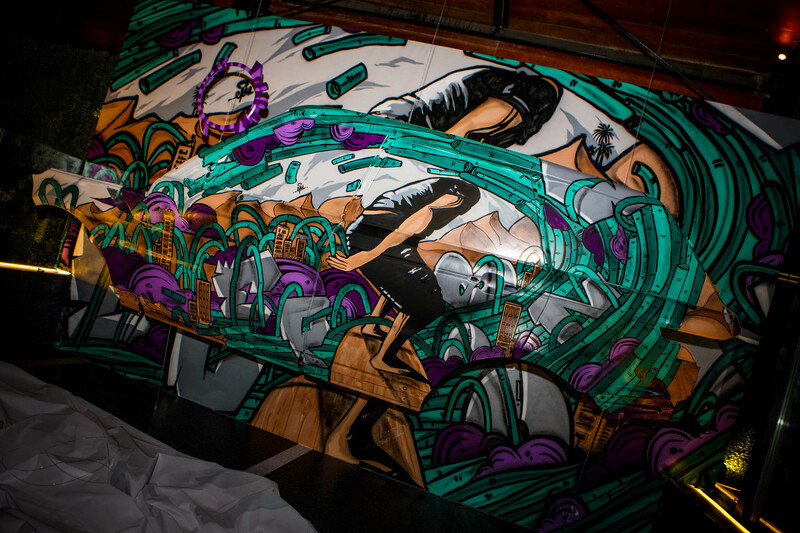 Painted on canvas and Range Rover doors and frame, the artwork dubbed “Rhythm and Flow” talks about venturing undiscovered paths and searching for new ways of making time, art and precision pieces timeless. 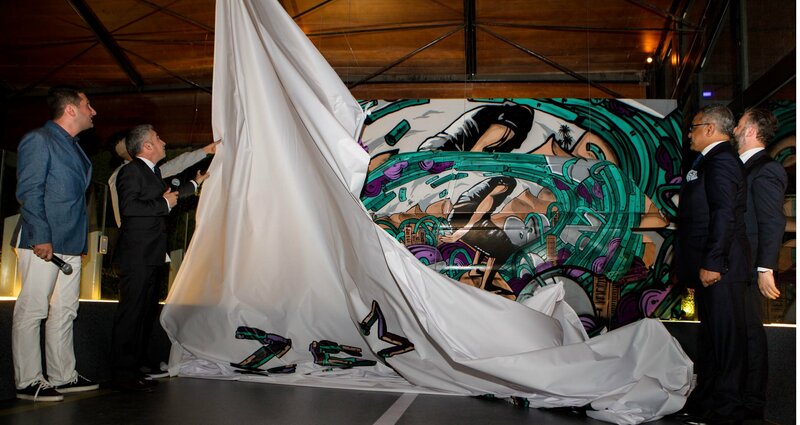 The artwork joins a global collection by various international artists to be auctioned off by the end of the year; profits will be donated to charity. Guests also interacted with a professional watchmaker and examined the intricate details of putting a watch together. And the patience that process takes! 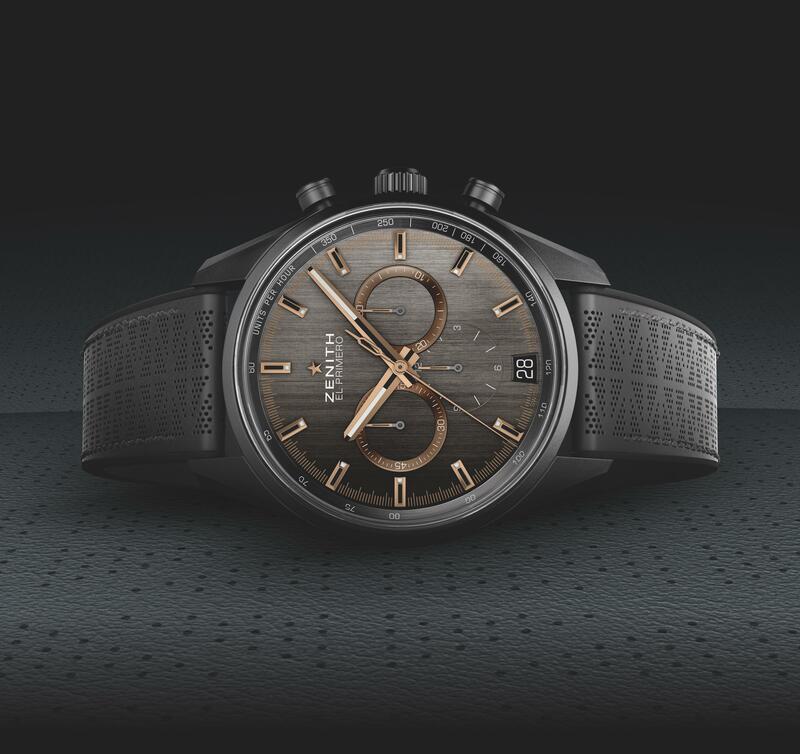 The 42 mm Chronomaster El Primero Range Rover Velar Special Edition and its brushed grey dial with copper-toned details are complemented by a new black rubber strap, coated with black-toned perforated calfskin inspired by ideas from both brands’ product design and engineering departments. The strap’s leather is the same high quality hide used on Range Rovers, and is secured by a triple folding clasp in DLC-treated titanium. The watch is both chic and sporty, which makes it suitable for the wrist of an intrepid explorer or an elegant gentleman. The timepiece definitely embraces the heritage and strong credentials of two watchmaking and car manufacturing legends.